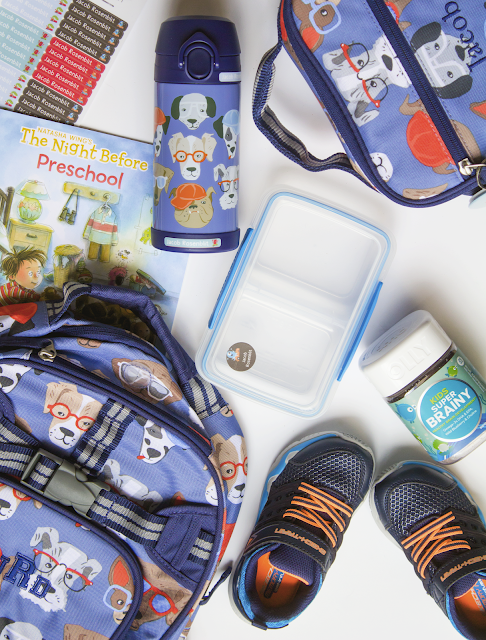 We're just under two weeks until Jacob starts preschool and I think we've finally rounded up all the things he needs. This was our first time back to school shopping, and even though his list didn't include any traditional school supplies (we pay a supply fee instead) he still had a few things he needed. 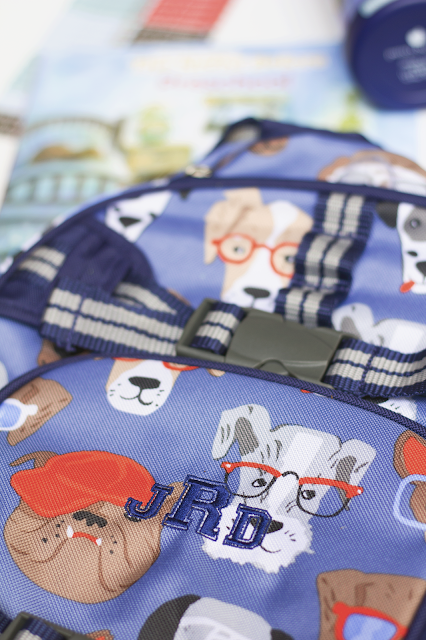 Backpack: Jacob got the Mackenzie backpack from Pottery Barn kids in a size small for his birthday back in June. We've had the Pre-K size for a while now, to carry a change of clothes (and before that diapers and wipes) and it's just not big enough for preschool. We've heard the Pottery Barn bags are sturdy and last a long time. We're hoping this size small will make it through this year and next (for Pre-K) and then we'll upgrade to a large for kindergarten. 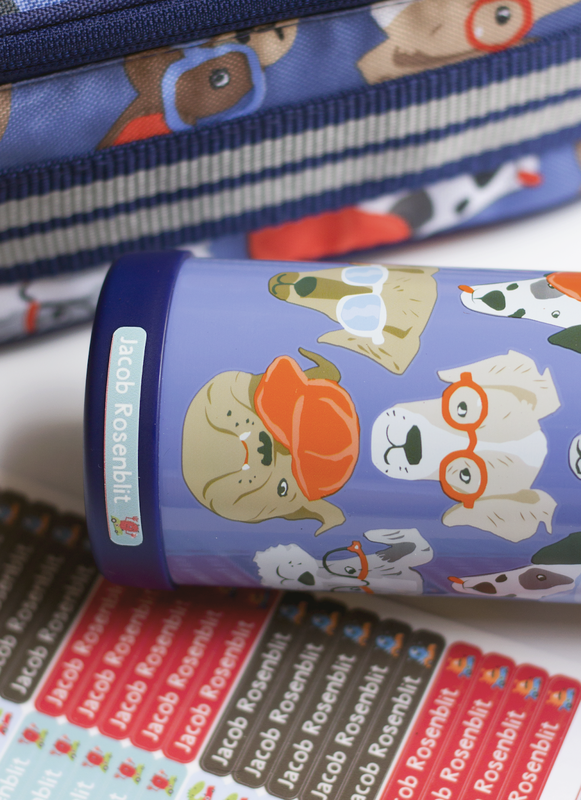 We looked through all the patterns together and Jacob picked out this cute blue one with puppy dogs. We had his monogram embroidered on there because we've heard it's safer than their name. Lunch box: He also got the matching lunch box. We went ahead and put his name on it since he won't be wearing it. 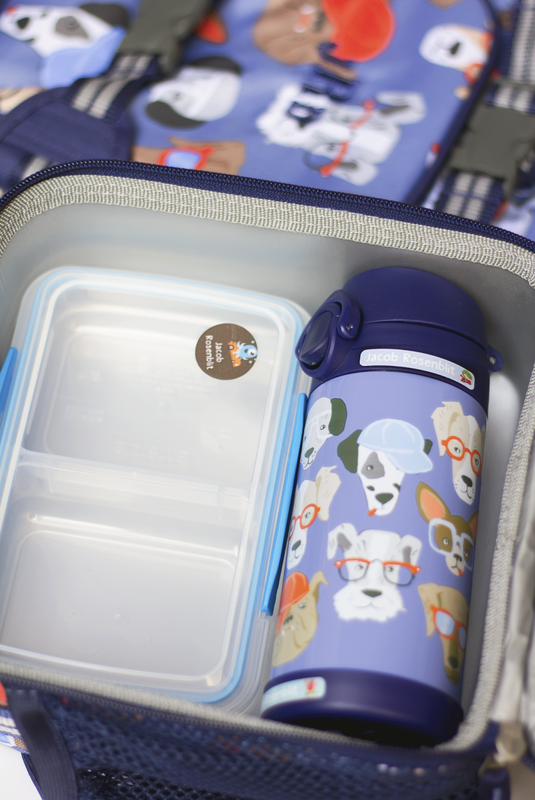 (it'll be inside his backpack) We got the classic style and it's the perfect size for a snack container and water bottle, or a bento box with the water bottle in the outside mesh pocket. Water bottle: This is the medium size and it holds a good amount of water for the 3 hours that he's going to be at school. It fits perfectly inside the lunch box, or in the mesh pocket on the side. It's easy to open and drink from and doesn't spill. Snack container: We grabbed a few of these Sistema divided snack containers, which also fit perfect in the classic lunch box. We plan to fill one side with fruit, veggies, or protein and the other side with a carbohydrate for snack time. Labels: We labelled all of his supplies with school labels from Stuck on You. They come in all kinds of cute designs for boys and girls and can be personalized any way you like. I made sure to label both the top and bottom of his snack container and water bottle, lest they get separated some how. Sneakers: Recess calls for sturdy, comfy sneakers and these trainers from Skechers fit the bill. I love that they look like they lace up, but actually those laces are stretchy and they velcro at the top. They're easy to get on and off by himself too, so hopefully that will be helpful when Daddy is getting him ready in the morning. Vitamins: We're big fans of Olly vitamins. 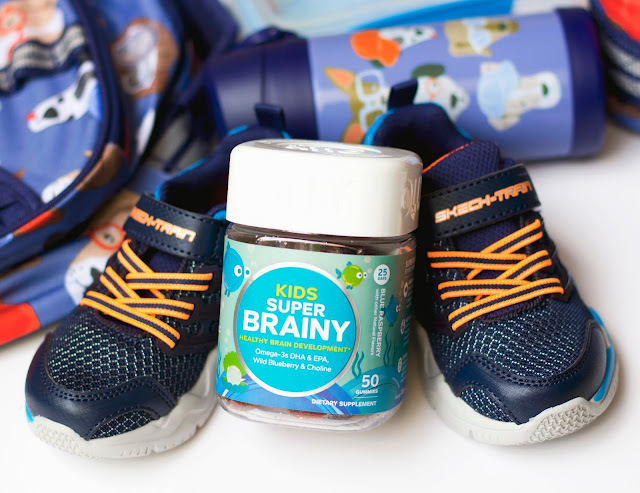 Jacob takes their daily vitamin + probiotic daily, and we alternate their immunity and brain booster ones. This will be Jacob's first time around a lot of other kids in a school setting so we're doing every thing we can to build up that immune system and keep him healthy. Thieves rollers are definitely on our to-do list too!! The Night Before Preschool: Last, but not least, I picked up this precious book this summer. 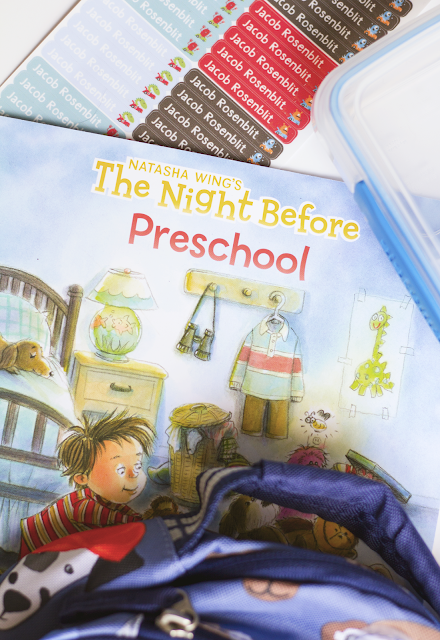 I always read The Night Before Kindergarten to my new batches of students every August so I was delighted to find a preschool version on the shelf while grocery shopping at Kroger. We plan to read this to Jacob the night before and use it to talk about all the things that may happen the following day, hopefully easing any anxieties he may have. What are your preschool essentials? ?